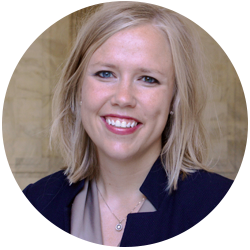 Katie Weichman Zulkoski is an attorney specializing in lobbying and government affairs. Katie delivers with hard work, integrity, and policy expertise. Katie has crafted successful legislative strategies for health care clients, national non-profits, and associations of all sizes—but her favorite issue is yours. Outside of the firm, Katie dedicates much of her time to public service on state-wide non-profit boards and continues to be connected to her family’s ag business in North Central Nebraska. 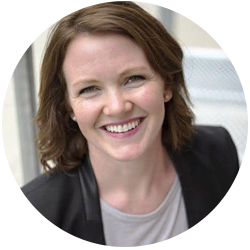 Katie is the proud Founder of Rise Lincoln, a solutions-oriented speaker series for Lincoln women in business. Katie graduated first in her class from Creighton University School of Law with a certificate of concentration in Business Law. Michelle Weber is a lawyer with a wealth of legislative experience. Raised on a family farm near Blue Hill, Michelle took her passion for Nebraska agriculture to Washington DC, where she worked in the U.S. Congress for more than six years. Proud to serve her home state, Michelle has advanced the legislative priorities of Nebraskans on agriculture, environment, energy, infrastructure, and trade policies. Her tenure on Capitol Hill included service to two Nebraska Senators, as well as the House Committee on Agriculture, where she focused on livestock, marketing, and food safety issues. Michelle grew up active in 4-H and FFA and enjoys continued involvement in ag leadership and youth development programs. Michelle received her JD with high distinction from the University of Nebraska, where she was Student Bar Association President and named the Alumni Association Outstanding Student. Nancy Osmera is the office manager of Zulkoski Weber. Nancy has extensive experience in the governmental relations field. As the office manager, Nancy’s responsibilities include the day-to-day business/administrative functions of the office, supporting the partners, and all legislative tracking and accountability reporting. 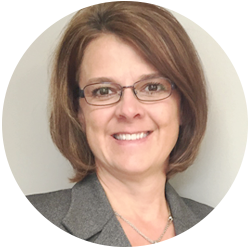 Prior to the government relations field, she worked at the Lancaster County Attorney’s Office and at the University of Nebraska Board of Regents Office. Growing up on the family farm, near Brainard, taught her a great work ethic which translates into great customer service for our clients. Nancy volunteers for her daughters’ school PTO and helps out as a parent helper at CCD classes. Past involvement includes being a coach for her daughters’ sports teams and board member of the Valparaiso Area Ball Association. Nancy loves to spend her spare time with her husband and two daughters, mostly attending their daughters’ activities. Nancy received her BBA from Nebraska Wesleyan graduating with Highest Distinction.